The Star Sports 1 is available for subscription at Rs 22.42. With the beginning of the cricket season in India as the Indian Premier League kickstarted, the TV industry also dawned a highly optimistic outlook. Amongst there, were also the DTH companies which had been thrashed recently by the new Trai tariff regime. The chance was a good one for these companies to expand their reach and viewership and to penetrate parts of India which had been previously untouched. To do that, they introduced free preview for sports channels for their customers. However, now it seems two of the biggest DTH providers – Tata Sky and Airtel Digital TV have put an end to this party and ended the free preview of these sports channels. Previously, under the free preview offer Airtel Digital TV and Tata Sky, both were offering numerous channels for free to the subscribers. During the time of the rollout of the offer, it was said that the free channels preview would be live starting March 23, 2019, and would end on May 19, 2019, coincidentally with the end of the cricket season. Channels like Star Sports 1 Hindi, Star Sports 1 Tamil, Star Sports 1 Telugu, Star Sports 1 Kannada, and Start Sports 1 Bangla were available under this free preview offer from both Airtel Digital TV and Tata Sky as well, but now the offer has fallen victim to a premature scraping. The information about the scraping of the free preview offer broke out on March 30, i.e. a week after the launch of the offer. Airtel Digital TV announced that it would withdraw the offer from its side on March 30, 2019. The provider also added in its announcement that subscribers who wish to continue their plan with the Star Sports channels could do so by subscribing to them via missed call or by adding them to their channel selection through the website. To recall, the price of Star Sports HD and Star Sports 1 is Rs 22.42 respectively. Similar is the case with Tata Sky which has decided to withdraw its offer as well well ahead of its completion date as it was announced during the launch of the offer. 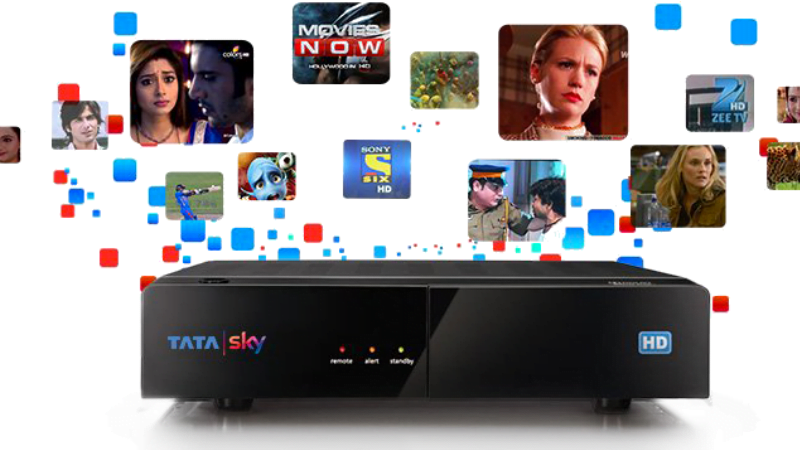 Tata Sky in its tweet said, “This was a limited period promotional offer, which expired on 29-March-2019.” From the subscribers’ point of view, it is a big blow since a lot of the users were using the free preview offer to catch the matches of the Indian Premier League. But, now if these subscribers want to watch cricket on these channels, they would have to subscribe to them at standard rates of Rs 22.42 per month. Alternatively, Tata Sky is offering Star Sports 1 HD channel for a year at Rs 202. This pack is already available for subscription via the company’s mobile app and website. In other news, D2h has levied a 60-day lock-in period to the Sports channels right after the Indian Premier League started. At the moment, it’s unknown why Tata Sky and Airtel Digital TV removed the Preview offer, but this move is not going well with the consumers. It connects and you can speak to customer representative. It’s sickening to note that none of the major players (Including Jio) are launching an app to watch all channels online on Apple TV or on Android TV. Their apps are there on mobiles version of the operating systems. India’s internet connectivity has improved by leaps and bounds. The end of DTH is very very near. As everyone gets on Jio, Airtel, MTNL, BSNL Fiber connections offering 100 Mbps speeds, DTH will be redundant in next 5 years. Mark my words. The first one to dare release the app wins.